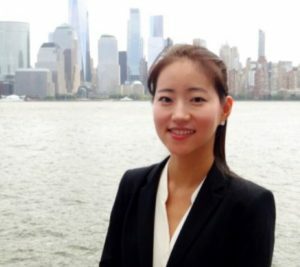 Natalie Lee is a Ph.D. candidate in the department of Economics at New York University. She received her B.A. from the University of British Columbia, Canada. 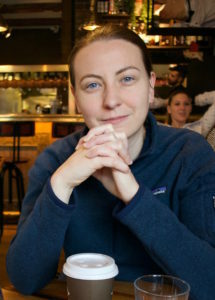 Her research focuses on economic experiments based on game theory. She investigates how people strategically interact in various setups, for example, when some people can spy their opponent’s actions or when people can walk away from their partners and meet new ones. 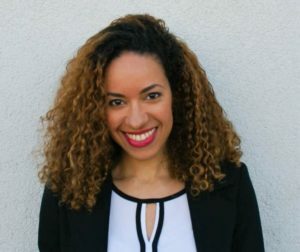 In another paper, Natalie also studies how people vary the amount of risk they take on behalf of other people, depending on what they learn about the outcome of their choices. Social norms are a ubiquitous feature of social life and pervade almost every aspect of human social interaction. However, despite their importance, we still have relatively little empirical knowledge about the forces that drive the formation, the maintenance and the decay of social norms. In particular, our knowledge about how norms affect behavior and how norm obedience and violations shape subsequent normative standards is quite limited. Here, we present a new method that makes norms identifiable and continuously observable and, thus, empirically measurable. 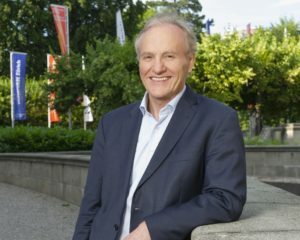 We show – in the context of public goods provision – the quick emergence of a widely accepted social cooperation norm that demands high contributions but – in the absence of the punishment of free-riders – norm violations are frequent and, therefore, the initial normative consensus as well as the high cooperation demands required by the norm break down. 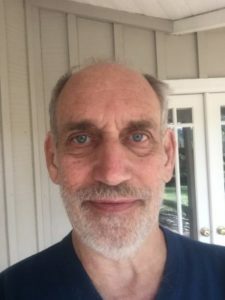 However, when peer punishment is possible, norm violations are rare from the beginning and a strong and stable normative consensus as well as high contribution requests prevail throughout. Thus, when norm compliance is costly social norms tend to unravel unless norm violations are kept to a minimum. In addition, our results indicate that – in an environment that has previously shown to be detrimental for cooperation and welfare – the opportunity to form a social norm unambiguously causes high public good contributions and group welfare when peer-punishment is possible. Andrea Robbett is an Assistant Professor of Economics at Middlebury College. She received her PhD from Caltech in 2011. 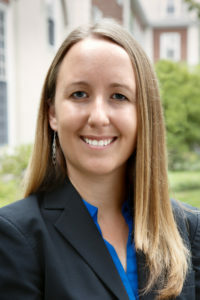 Her research uses lab experiments to address topics related to public economics, labor economics, social dilemmas, and voting. This talk will focus on a series of experiments investigating expressive voting and rational ignorance among American political partisans. We study the pattern of correlations across a large number of behavioral regularities, with the goal of creating an empirical basis for morecomprehensive theories of decision making. We elicit 21 behaviors using an incentivized survey on a representative sample (n = 1,000) of the U.S. population. Our data show a clear pattern of high and low correlations, with important implications for theoretical representations of social and risk preferences. Using principal components analysis, we reduce the 21 variables to six components corresponding to clear clusters of correlations. We examine the relationship between these components, cognitive ability, demographics, and qualitative self-reports of preferences. We provide both an *axiomatic* and a *neuropsychological* characterization of the dependence of choice probabilities on deadlines in the softmax form, with time-independent utility function and time-dependent accuracy parameter. 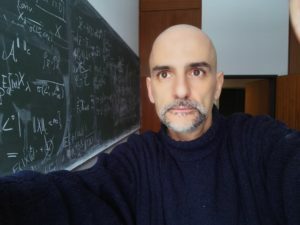 The softmax model (also known as Multinomial Logit Model or Power Luce Model) is the most widely used model of preference discovery in all fields of decision making, from Quantal Response Equilibria to Discrete Choice Analysis, from Psychophysics and Neuroscience to Combinatorial Optimization. Our axiomatic characterization of softmax permits to empirically test its descriptive validity and to better understand its conceptual underpinnings as a theory of agents rationality. Our neuropsychological foundation provides a computational model that may explain softmax emergence in human multialternative choice behavior and that naturally extends the dominant Diffusion Model paradigm of binary choice. 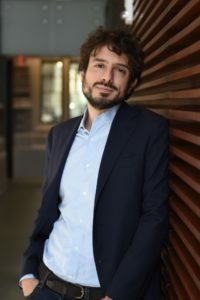 Alex Imas is a Visiting Assistant Professor of Behavioral Science at the University of Chicago Booth School of Business, and an Assistant Professor of Social and Decision Sciences at Carnegie Mellon University. Imas’ research spans a variety of topics across economics and psychology. 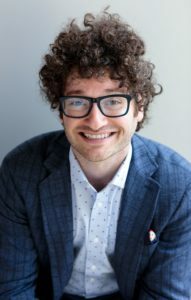 He has studied how prior losses and gains affect risk-taking, the use of prosocial incentives to motivate performance, and the ways in which people use others’ emotions strategically. 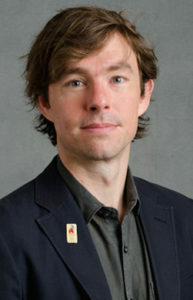 Daniel Martin is an Assistant Professor in the Managerial Economics and Decision Sciences (MEDS) department at Northwestern University’s Kellogg School of Management. He is a behavioral and experimental economist who studies the processing and disclosure of information. For example, he investigates why firms do not voluntarily and clearly disclose information about product quality and why consumers do not pay full attention to information about prices or product quality. Framing effects are often attributed to misperceptions. In this study, however, we document a large and robust framing effect that is not reflective of misperceptions. Our framing effect persists when agents gain experience, pay attention, and are provided with information that prevents miscalculations. We propose and provide evidence as to why our framing effect persists: the majority is driven by self-serving motives. Our results suggest that framing effects, as well as other behavioral biases driven by self-serving motives, may be notably robust to de-biasing conditions.